PlayStation is slowly adding non-game offerings for its PSVR headset. One of the latest releases is Virry VR, an app that tries to bridge the difference between the cost of a flight to Kenya and your current budget. Of course, nothing beats the actual experience of a safari in Kenya. However, in the absence of low-cost travel options to the beautiful continent, Virry VR is a good alternative. 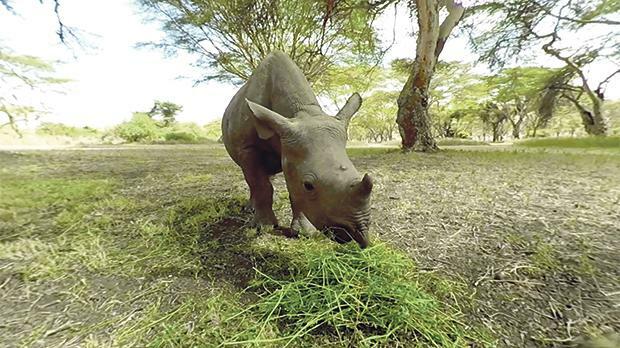 Based on video filmed at Lewa Downs, a UNESCO heritage site home to elephants, hyenas, black and white rhinos, leopards and Grevy’s zebras, Virry VR allows you to enjoy an immersive safari experience. Developers used special camera rigs that allowed them to film just centimetres from the wildlife. But Virry VR is not just a visual experience either. As rhinos bathe and lions enjoy their dinner, you can listen to the intriguing soundtrack of Kenya’s wildlife. Winner of the Webby People’s Voice Award 2017, Virry VR currently has three modes to choose from: live-action interactive experience, immersive relaxation experience and live-streaming experience. The latter is especially interesting as HD cameras installed at the conservatory film real animals 24/7.